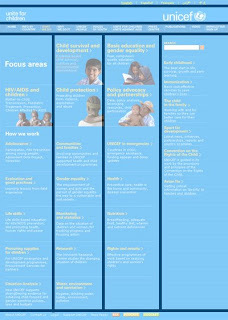 UNICEF website got so many information, to manage those informations they categorized information depends on the topic and then later elaborate more in more specific area. Mainly the website structure is consist of header, content that divided into 4, and footer. 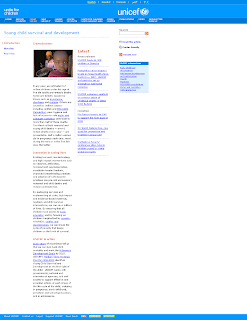 In all pages they never change the header and footer, only the content are that change. 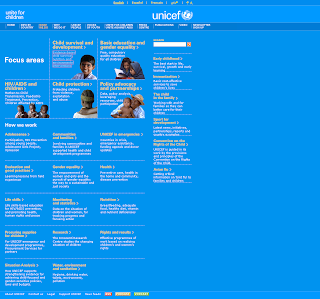 This website also maintain the corporate color, blue and white with yellow as highlight. With such a big information in website, it will be hard for user to find the information that they want, so in this website they solve the problem by providing search engine. 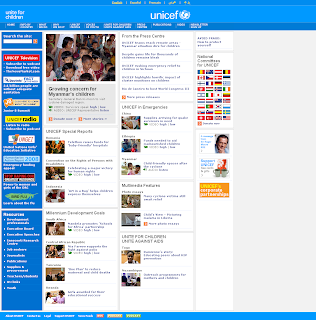 Also because UNICEF is a very famous non-profit international organization, they also provide many different languages for this website.